Multifunctional Modular Designs created by Per Weiss are a collection of frames to suit any area in your home. 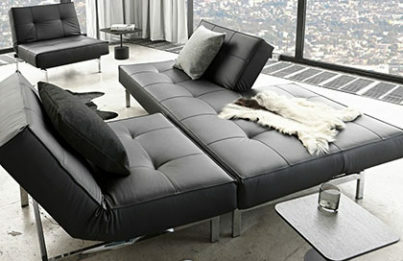 Models such as sofa beds, loungers and chairs are offered in the Multifunctional Modular range. Selection of options is central to this collection therefore with or without arms and wide range of legs. Similarly various types of textile with numerous colours tare offered. Called Splitback this is noteworthy for the straightforward reason that the back section is two pieces. Made so that you decide on elevation, upright or lounge you can decide. 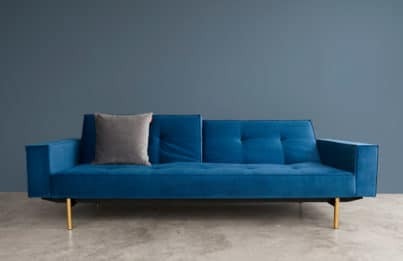 The Splitback sofa bed is supplied with or without upholstered arms. Customers can choose from various quality textiles and shades of colour. If you are not sure please get in touch and swatches will be posted because decision making is sometimes awkward. All models in the range have the unique pocket spring technology that’s been developed in house by Innovation Living. Decades of refinement by dedicated technicians ensure customer satisfaction. Information about the filling is in the tabs on product pages. 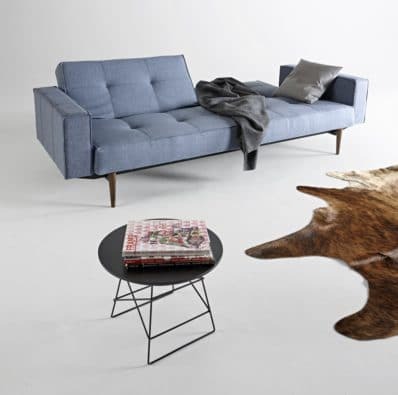 Splitback Sofa Bed with reclining options, choice of textiles and legs.